Saving for retirement is an essential part of ensuring your financial security after the end of your career, but millions of Americans have struggled to put money aside for after they retire. 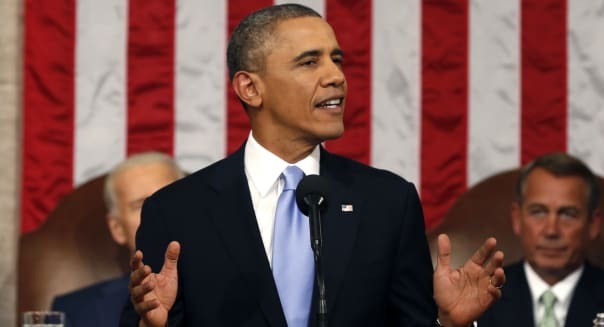 In his State of the Union speech, President Obama announced the myRA retirement savings program, aimed at helping people save more even if they don't have much income. The fact sheet from the White House on the program didn't include all the details about how the myRA will work, but here's what we do know: The intent of the program is to help those who don't have access to retirement plans at work. According to the administration, about half of American workers don't have 401(k) plans or other employer-sponsored retirement plans, making it much more difficult for them to set money aside for retirement. The idea of the myRA is to bridge that gap and give workers without 401(k) access the same easy way to save. The basics of the myRA are simple: Anyone in a household earning $191,000 a year or less would be eligible to use myRAs, with an initial investment of as little as $25 and additional ongoing contributions of as little as $5 coming from payroll deductions. As the fact sheet explains, the idea is to offer a "starter savings account" that takes away the obstacles that prevent many Americans from starting to save for long-term goals like retirement. One key feature of the myRA is that it won't be tied to a particular employer. As a result, if you change jobs, you won't have to worry about making any changes to your myRA. That's a potential advantage over 401(k) plans, where employees have to take steps to roll over accounts from former employers and often fall into tax traps that lead to penalties and higher taxes. Unlike 401(k) plans and other retirement investments, the myRA isn't designed to give savers multiple choices about how they want to invest their savings. Instead, the myRA emphasizes safety and security, with investments that the government will guarantee never to go down in value. The interest rate on your myRA balance will be based on what federal employees receive as participants of their Thrift Savings Plan retirement account, which is invested in the Government Securities Investment Fund, also known as the G Fund. According to the Thrift Savings Plan website, the return on the G Fund in 2013 was 1.89 percent. In the five years ending in December 2012, the G Fund paid an average annual return of 2.69 percent. That safety and security comes at the price of growth. Even if myRA interest rates rise to 3 percent, it'll take almost 24 years for you to double your money using the myRA as your primary savings vehicle. By contrast, the Thrift Savings Plan's L 2050 Fund, which invests more aggressively and is designed for those planning to retire in or around the year 2050, had returns of more than 26 percent just last year alone. Of course, those gains came from the stock market's strong performance, and when stocks do badly, those funds can lose money. Several of the TSP's more aggressive investments posted big losses during the down market in 2008, ranging from 37 percent for the C Fund to 42 percent for the I Fund. Fundamentally, the limits on the myRA mean it won't come close to covering your retirement needs -- and it's not meant to. The accounts will hold only a maximum of $15,000. For most people, that wouldn't be enough to cover even a full year of living expenses in retirement. What it's intended to be is a stepping stone. Once the amount in your myRA maxes out, you have to transfer the balance to an IRA. On its own, it's not that much. But If it encourages more people to start taking meaningful steps toward investments like Roth IRAs and other retirement-appropriate plans, the myRA could represent a long-term victory in the fight to ensure American retirees greater financial stability.